Rationale:?Lymphocytic?leukemia is a disease characterized by proliferation of immature WBCs. Immature cells are unable to fight infection as competently as mature white cells. Treatment: chemotherapy, antibiotics, blood transfusions, bone marrow transplantation. b.?to a private room so she will not be infected by other?patients?and health care workers —CORRECT: protects patient from exogenous bacteria, risk for developing infection from others due to depressed WBC count, alters ability to fight infection. Question: What is the correct universal precaution? Strategy: Think about each?answer?choice. How is each measure protecting the nurse? Needed Info: Mask, eye protection, face shield protect mucous membrane exposure; used if activities are likely to generate splash or sprays. Gowns used if activities are likely to generate splashes or sprays. a. Gloves, gown, goggles, and surgical cap —?surgical caps offer protection to hair but aren’t required. b. Sterile gloves, mask, plastic bags, and gown —?plastic bags provide no direct protection and aren’t part of universal precautions. c. Gloves, gown, mask, and goggles —?CORRECT: must use universal precautions on ALL?patients; prevent skin and mucous membrane exposure when contact with blood or other body fluids is anticipated. d. Double gloves, goggles, mask, and surgical cap —?surgical cap not required; unnecessary to double glove. 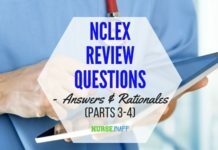 Question: Which patient is an appropriate assignment for the LPN/LVN? Strategy: Think about the skill level involved in each patient’s care. 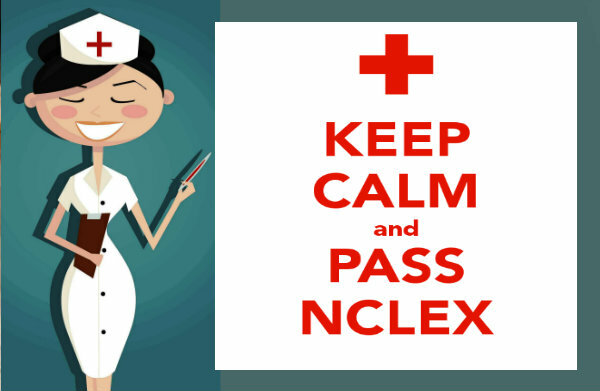 Needed Info: LPN/LVN: assists with implementation of care; performs procedures; differentiates normal from abnormal; cares for stable?patients?with predictable conditions; has knowledge of asepsis and dressing changes; administers medications (varies with educational background and state nurse practice act). a. A 72-year-old patient with diabetes who requires a dressing change for a stasis ulcer —CORRECT: stable patient with an expected outcome. b. 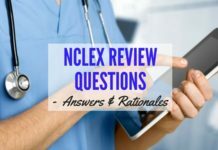 A 42-year-old patient with cancer of the bone complaining of pain —?requires assessment; RN is the appropriate caregiver?. 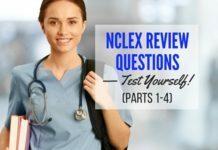 c. A 55-year-old patient with terminal cancer being transferred to hospice home care —requires nursing judgement; RN is the appropriate caregiver?. d. A 23-year-old patient with a fracture of the right leg who asks to use the urinal —standard unchanging procedure; assign to the?nursing assistant. Rationale:?Because of the predilection toward outside and agricultural jobs, migrant workers, made up mostly of Hispanic people, this group is at higher risk for exposure. Rationale: Initial care of the patient involves preventing further damage and rebleeding.Patients?are kept at bed rest if possible and usually with the head of bed raised. TV watching is permitted but not?reading. The use of atropine, ice, and eye shields are controversial, and a nurse would not prescribe a pharmacologic agent or thermal therapy although the nurse may administer a physician’s or a nurse practitioner’s order. Rationale: Shutting off the bed’s electricity should be the initial step. The nurse should not touch the client until the bed is?checked?for faulty grounding. An electrician should assess the equipment. Oxygen should be discontinued until the equipment is cleared. Rationale: Asking about the significance of the amulet in a nonthreatening manner is the first step in conveying respect for the client’s religion/culture. Immediately passing judgment and instructing against the use of the necklace rejects the individuality of the client and their ethnic diversity. Asking why as the initial response does not convey acceptance and might impair communication and incite client defensiveness. Rationale: Accidents (particularly motor vehicle) are the leading cause of death for all age groups from toddlerhood to adulthood. Poisoning while significant for this age group, is not as prevalent. Deaths from congenital defects occur most often in the neonatal and infancy stages. Influenza deaths, while possible, are much more uncommon in children. In assessing a patient in a critical illness or injury situation, the nurse brings her knowledge of age-specific causes of death. Rationale: The nurse’s first response is to assess that the person is actually choking and then rapidly proceed to intervene using the Heimlich. Back blows are not indicated in adults with obstructed airways and might actually create a complete obstruction by dislodging a foreign body that was only partially blocking the airway. Rationale: To prevent thermal burns and scalding, hot water thermostats should be set at 120 or less. Adult skin can tolerate temperatures somewhat higher (that is, 140 or less). The class here involved parents of children. Rationale: Accidents are the number one cause of death for ages 1-44 with motor vehicle accidents accounting for the majority, while congenital conditions and medical illnesses claim the youngest and the oldest. Rationale: Advance directives are signed, witnessed documents that provide specific instructions for treatment if a client can’t give those instructions personally when required. Depending on the client’s wishes, they may or may not include DNR orders. Rationale: The donor and recipient must have compatible blood and tissue types. They should be fairly close in size and age. When a living donor is considered, it’s preferable to have a relative donate the organ. Need is important but it can’t be the critical factor if a compatible donor isn’t available. Rationale: When taking a medication order over the telephone, standard practice requires verbal verification of the order and the physician’s written signature within 24 hours. The nurse practice act doesn’t prohibit taking medication orders over the telephone. Rationale: The primary physician in charge of a client’s care must write an order for the restraint within 8 hours. In an emergency, a client who is a threat to himself or others may be restrained without an order. Voluntary clients have the right to leave against medical advice. A minor is treated the same as an adult regarding restraints. Rationale: When a nurse attempts to influence a family’s decision with her own opinions and values, the situation becomes one of overinvolvement on the nurse’s part and a nontherapeutic relationship. When a nurse keeps communication channels open, works with family members to decrease their dependence on health care providers, and instructs family members so they can accomplish tasks independently, she has developed an appropriate therapeutic relationship. 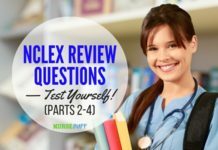 Rationale: Although all of the options are desirable, knowledge of self is the basis for building a strong, therapeutic nurse-client relationship. Being aware of and understanding personal feelings and behavior are prerequisites for understanding and helping clients. 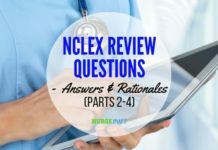 Rationale: The nurse should determine the specific concerns of the client’s wife. Jumping to conclusions regarding the client’s need for a nursing home or other care placement options would be inappropriate. The nurse must tailor care to the client and family, focusing on their needs. Rationale: Discharge planning should begin when a client is first admitted to the facility. Initially, discharge planning requires collecting information about the client’s home environment, support systems, functional abilities, and finances. Rationale: Many clients are discharged from acute care settings so quickly that they don’t receive complete instructions. Therefore, the first priority is to arrange for colostomy care. The American Cancer Society often sponsors support groups, which are helpful when the person is ready, but contacting this organization doesn’t take precedence over ensuring proper colostomy care. Requesting Meals on Wheels and asking for an occupational therapy evaluation are important but can occur later in rehabilitation. Rationale: Nursing interventions are classified as independent, interdependent, or dependent. Altering the drug?schedule?to coincide with the client’s daily routine represents an independent intervention, whereas consulting with the physician and pharmacist to change a client’s medication because of adverse reactions represents an interdependent intervention. Administering an already-prescribed drug on time is a dependent intervention. An intradependent nursing intervention doesn’t exist. Rationale: ?The nurse has failed to respond immediately to the safety and privacy of a vulnerable client. Negligence is defined as an omission to do something a reasonable person would do. This nurse’s behavior is anything but sensitive, caring, or compassionate. Organization isn’t addressed in this situation. Rationale: The Bill of Rights?for Psychiatric Clients includes the right for clients to access their medical records unless doing so would be detrimental to their health. To determine if information might to be detrimental to the client, the primary care provider should be informed of the client’s request. The client doesn’t need an attorney to view her?chart. She also doesn’t need to wait until after discharge to view it. Rationale: An occupational therapist helps physically disabled clients adapt to physical limitations and is most qualified to help a child with cerebral palsy eat and perform other activities of daily living. A registered dietitian manages and plans for the nutritional needs of children with cerebral palsy but isn’t trained in modifying or fitting utensils with assistive devices. A physical therapist is trained to help a child with cerebral palsy gain function and prevent further disability but not to assist the child in performing activities of daily living. A nursing assistant can help a child eat; however, the nursing assistant isn’t trained in modifying utensils. Rationale: It’s discriminatory and punitive for the nurse-manager to alter the staff nurse’sschedule. The remark is inappropriate and unprofessional, and the nurse-manager should receive counseling. The physician could choose to ignore the comment, but any provider who hears of discrimination should deal with it. If the matter can be resolved locally, reporting the nurse-manager to the labor relations board should be avoided. Institutional documentation should exist for such matters. It’s inappropriate for the physician to inform the staff nurse about what was said. Such action could create difficult relations on the unit and, thereby, affect nursing care. 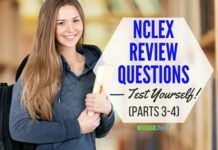 NCLEX Review Questions — Test Yourself!